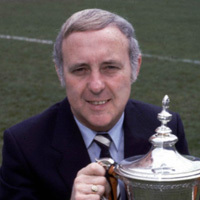 Davie Dodds, who suffered a knock against Rangers at the weekend, and Derek Stark, who missed that game due to a head injury were both fit and in the side to take on PSV Eindhoven at Tannadice for this 1st leg of the UEFA Cup 1st round tie. Eamonn Bannon, who had been a major doubt due to a throat infection, also made the starting line-up. 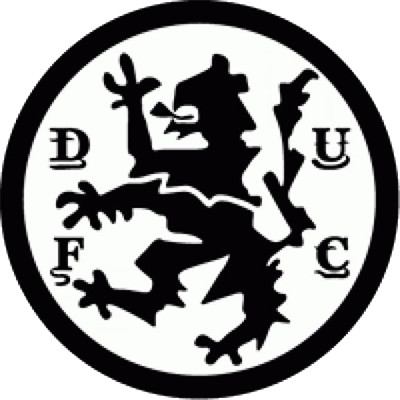 United attacked from the off, and only the brilliance of former international keeper Pim Doesburg kept them at bay in the early stages. He had good saves from Maurice Malpas and Dodds as the Dutchmen struggled, with one save in particular, from a typical Paul Sturrock turn and volley, was outstanding. Davie Dodds finally edged United ahead just before the interval, redirecting a Bannon shot wide of the goalkeeper from six yards. 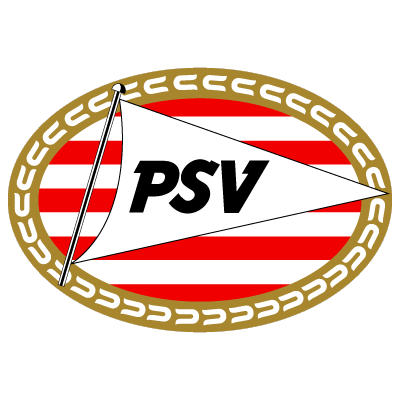 The PSV players were incensed at the referees decision to allow the goal, claiming Dodds was offside, with Huub Stevens receiving a yellow card for his protests. United sent on Ralph Milne for Malpas just after the interval, but it was PSV who moved up a gear. Norwegian internationalist Hallvar Thorsen went on a solo run into the danger area and only a smart Hamish McAlpine save foiled the visitors. Then at the other end Doesburg saved again in the 54th minute, touching a shot from Milne over the crossbar. Tannadice was stunned in the 67th minute when PSV equalised. 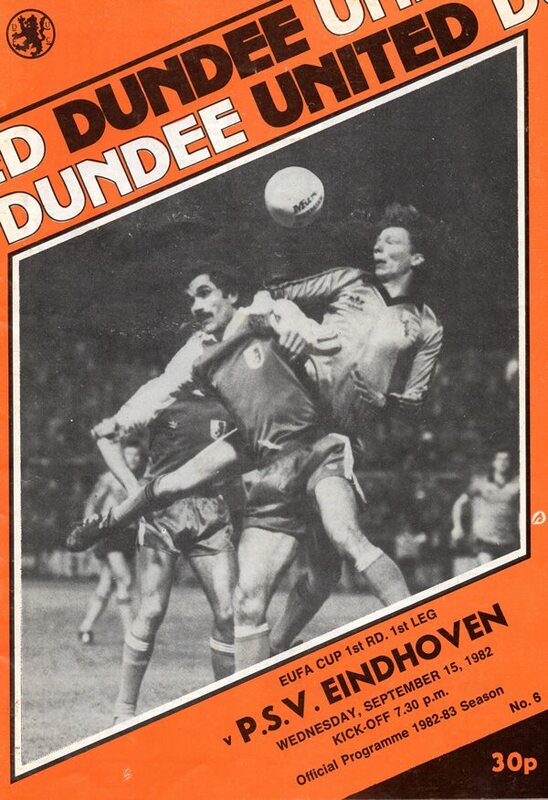 A long clearance from defence left Paul Hegarty with Willy Van der Kerhof in a chase which the Dutchman won and calmly beat the advancing McAlpine from inside the box. From then until the end United threw everything forward but it was not to be their night, and United now face an uphill task in Holland in a fortnight's time if they hope to advance in the UEFA Cup. Naturally I was more than pleased to capture both points in our opening league clash with Aberdeen who are always a difficult side to beat. Unfortunately tempering my satisfaction was the inexplicable lapse of form in the second half. After establishing a two goal lead, the players rested on their laurels in the second period and allowed Aberdeen back into the game instead of pursuing -further goals. You can never score too many goals! Failure to press home an early advantage has cost us dearly in the past. I need only cite our last tie in Europe against Radnicki Nis. After establishing a 2 goal interval lead, we failed to improve on that base with further goals and that proved our undoing in the second leg in Yugoslavia. Lapses such as this must not re-occur and it is time that we found the reasons for these periods of inconsistency.